To kick off the two month long Orson Welles series at Film Forum, they've been screening the Magnificient Ambersons (until Feb 29) and if you've yet to be acquainted with this cinematic forerunner this is a good place to start. 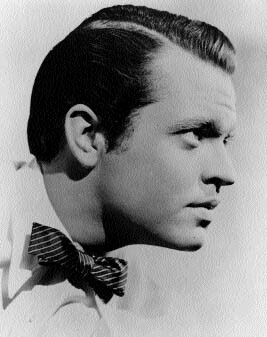 Actor, director, screenwriter, playwright, radio announcer, impresario and dare we even say it, pretty damn hunky when he wasn't making himself look old and fat with makeup, Orson inspires serious devotion from serious film people. When you learn a bit of Orson's biography and see the half-finished projects which litter his filmography, it would be easy to pigeon hole him as a genius who sabotaged himself more often than not. But CC is letting this judgmental attitude go for this series at the request of our many Orson fanatic friends, and is just going to sit there accepting what artistic beauty is on the screen. Highlights to come include Touch of Evil (March 12, 13, 14), the Lady from Shanghai (March 19 - 22), It's All True (March 24) and culminating with the Third Man (April 9 - 15).